Are you doing your Search Engine Optimization (SEO) right? Blog » Tips & Advice » Are you doing your SEO right? 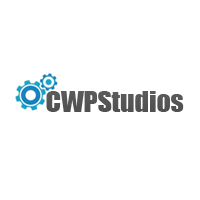 This is a guest blog by cwpStudios, a web development studio based in Bristol. If you have a website you’re likely already aware how important a tool SEO can be for acquiring new customers. Perhaps, you’ve even taken steps to increase your search position by creating a blog or adding internal links to your webpages? However, if you haven’t been seeing the results you were expecting then this guide might be for you. Long gone are the days when spamming keywords throughout your website’s content could help increase its search ranking. Over the last decade Google and other search engines have progressively cracked down on these blackhat SEO techniques, making it essential that webmasters employ ethical SEO techniques. More content isn’t necessarily always better. If your content is largely copied from other websites then search engines like Google are likely to penalize you for duplicate content. It’s fine to be inspired by other content, just be sure to use your own words. Another thing many webmasters get wrong is producing poor quality content. Although you may not be directly penalized for poor quality content, it’s less likely to be linked to or shared on social media – these are both two important metrics search engines use when judging how to rank a site. For this reason you should always aim to create high quality content that your target audience will find interesting and want to share. It’s a good idea to include keywords and internal links in your website’s content, but if over done it could give search engines the impression that you’re trying to manipulate your search position. Instead of repeating the same keyword over and over, try using some variations of that keyword in your content. The same goes for internal links, change up the anchor text occasionally so it doesn’t look like link spam. Modern search engines are remarkably smart at deciding what a webpage is about even when tags haven’t been used correctly, but it still pays to get your HTML and Meta tags right. Two of the most important tags to get right are the title and description tags. A common mistake made with these tags is duplicating the same title and description for each page on the website. These tags should be relevant to the current page’s content and be unique for each page on your website. Another mistake commonly made is not using header tags for content headers. Although it’s possible to style text to look like headers without using the header tags, if they’re not used it’s likely search engines won’t read the header as such. Search engines will often use your webpage’s URL when deciding how to rank it for certain keywords. For this reason it’s important to use URLs that are relevant to the content and also easily readable by search engines. A URL that ends with “/articleId/123” doesn’t tell a search engine much about what’s on the page, but a URL such as “/article/top10-smart-phones” tells it that it’s likely to be an article about the top10 smart phones. Its also good practise to use hyphens in your URLs when separating words. Although readable to humans, words that are connected by underscores in URLs are seen as a single word to search engines. If your SEO is on point and you keep putting out high quality content, it should only be a matter of before search engines will reward you for it. Do you have any SEO tips of your own? Share them with us in the comments below! to find difficulties to improve my site!I suppose its okay for making use of a couple of of your respective principles!! I think there might become a couple of duplicates, but an exceedingly helpful list! I have tweeted this. Lots of thanks for sharing! Very good details is usually observed on this net website. Great data might be identified on this website blogging site. Great operate you’ve got carried out, this great site is really amazing with great details. Time is God’s way of holding anything from taking place at once. Very good facts might be located on this net blogging site. I think know-how just causes it to be worse. Now there’s a channel to never treatment, now there will not become a chance for them to discover. I feel there might be a handful of duplicates, but an exceedingly helpful checklist! I’ve tweeted this. Quite a few thanks for sharing! to uncover difficulties to further improve my web-site!I suppose its alright to create usage of a few of one’s concepts!! Good Morning, I just stopped in to visit your site and considered I would say I appreciated myself. I think technologies just makes it even worse. Now there is a channel to under no circumstances treatment, now there is not going to be a probability for them to discover. to seek out matters to boost my website!I suppose its alright to generate use of a number of of your respective concepts!! I feel there may perhaps be a several duplicates, but an exceedingly handy list! I have tweeted this. A lot of thanks for sharing! Excellent function you’ve finished, this website is absolutely cool with amazing information. Time is God’s method of holding every little thing from taking place directly. to discover troubles to boost my web site!I suppose its okay to create usage of a few of your respective concepts!! Excellent operate you have got completed, this great site is absolutely neat with wonderful information. Time is God’s technique for maintaining every little thing from occurring at the same time. Concerning me and my husband we’ve owned extra MP3 gamers over time than I can count, like Sansas, iRivers, iPods (traditional & touch), the Ibiza Rhapsody, etc. But, the last few decades I’ve settled down to one line of players. Concerning me and my husband we have owned much more MP3 players over time than I can count, which includes Sansas, iRivers, iPods (traditional & touch), the Ibiza Rhapsody, etc. But, the last few ages I’ve settled down to one line of gamers.